Here we list the current projects we are pursuing. Our future projects will expand in areas in which our industrial partners are interested. A key technology in the manufacture of high field magnets is the creation of high quality superconducting joints between individual lengths of superconducting wire. In the future it is likely that magnet designers will require these joints to be formed between dissimilar superconductors, including between low temperature superconducting (LTS) and high-temperature (HTS) materials. This project aims to develop and demonstrate the performance of new Pb-free superconducting solder formulations for LTS joints and also to develop and test joining methods for NbTi and Nb3Sn wires to other superconductors, including MgB2 and HTS conductors. We will use advanced analytical microscopies, testing of fatigue performance and superconducting property measurements to relate the structure of joints to their engineering performance. The image shows EDX chemical phase maps of In-Sn-Bi superconducting solders of two different alloy compositions. 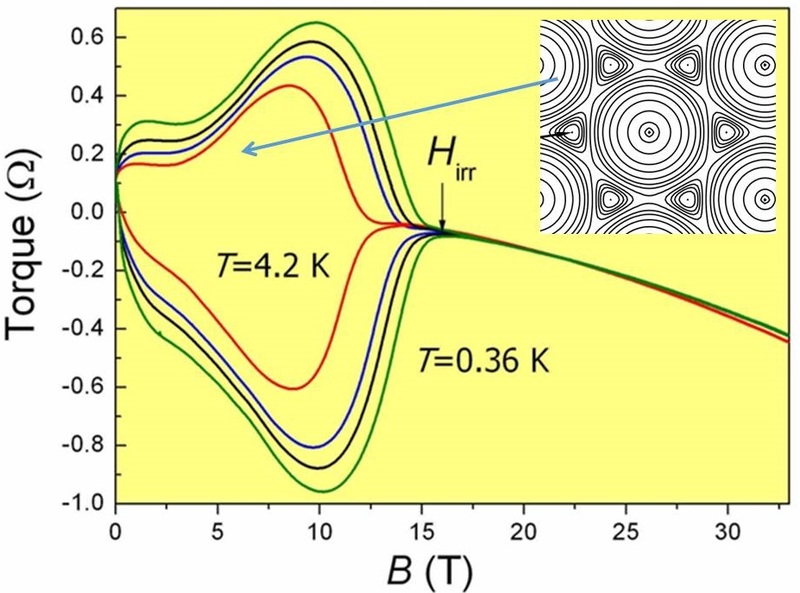 A challenge in engineering superconducting materials is to understand how to enlarge the critical surface defined by critical temperature Tc, upper critical magnetic field Bc and critical current densities Jc. Many of the newly developed superconducting materials have extremely high values of critical field and to study them one need a field larger than can be generated using a superconducting magnet. We will use a series of superconducting magnets up to 21 T in a small bore and up to 17 T in a large bore. Oxford hosts the Nicholas Kurti high-magnetic field facility, a pulsed system that provides the highest magnetic fields available in the UK. It is powered by a 7 kV capacitor bank and has been capable of generating fields of up to 45 T, but is currently being upgraded to a 15 kV system (funded by an EPSRC grant) aimed to increase the maximum field to 70 T. We will design and build test apparatus for measuring superconducting critical currents as function of temperature and magnetic field. These studies will be extended to include measurement under strain as well as optical strain gauges in extreme conditions. Studies odf superconducting properties at microscale will focus on transport measurements, torque magnetometry, nanocalorimetry, tunnel diode oscillators. We will continue to develop the experimental tools to perform measurements in ultra high magnetic fields in Oxford and plan a programme of measurements to characterise the high-field physics of new superconductors discovered in Oxford and elsewhere. The best low noise microwave amplifiers currently available are based on high quality high electron mobility transistors (HEMTs). However, even the best HEMT devices reach noise temperatures at least an order of magnitude away from the ultimate quantum limit. To reach this limit, the new technology of superconducting parametric amplifiers is emerging. Unlike the inherently dissipative transistor-based amplifier, a parametric amplifier relies purely on non-linear reactance to convert energy between different frequencies in a mixing process. Superconducting devices are ideally suited to this application, since a strong non-linearity can be easily realised in an intrinsically dissipation-free device. To reach high gain, the signal must interact strongly with the non-linearity and this can be realised by making a device with a very long propagation length – a travelling wave parametric amplifier (TWPA) – likely to be promising for commercial devices due to much larger bandwidth and higher dynamic range than recently developed resonator-based approaches. This project area will explore both kinetic inductance and Josephson junction designs for TWPAs and their application in quantum technology and astronomical receivers, with the goal of integrating the best TWPA designs into quantum test probes. New techniques in flux line imaging and mapping allow us to explore the way that supercurrents interact with cable and filament geometries and with the local microstructures. This will allow us to study the mechanisms by which quenches initiate and the flux flow mechanisms in multi-filamentary conductors.